You have the whole island to yourself. Never heard of Satellite Island? That’s because those who have want to keep it that way. Located in a sheltered pocket of the D’Entrecasteaux Channel in southern Tasmania, the rugged 34-hectare landmass can only be reached by private boat from nearby Bruny Island. Once you’re there, it’s just you, the house, a few wild deer and a whole lot of nature. There are no roads, no shops, no other guests, not even wi-fi – which is how visitors like it. 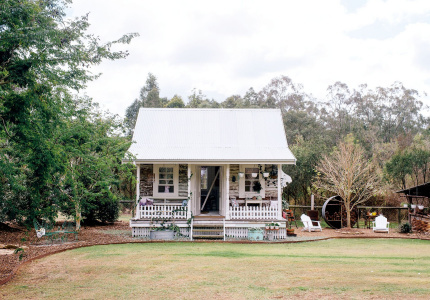 Privately owned by Melbourne couple Kate and Will Alstergren, the island originally belonged to Will’s uncle, Ian Alstergren, who bought it in the 1960s as a base for his writing and painting pursuits. 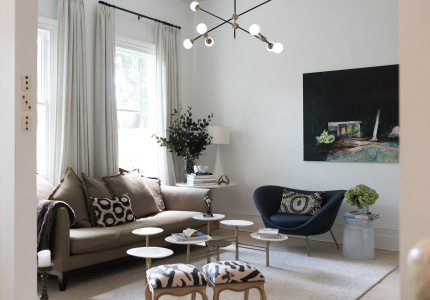 After extensive renovations and a serious style injection – from Kate and stylist, Tess Newman-Morris – the island was opened to guests in 2013. “It really is a proper break when you come down here – it just forces you to be present,” Kate says. 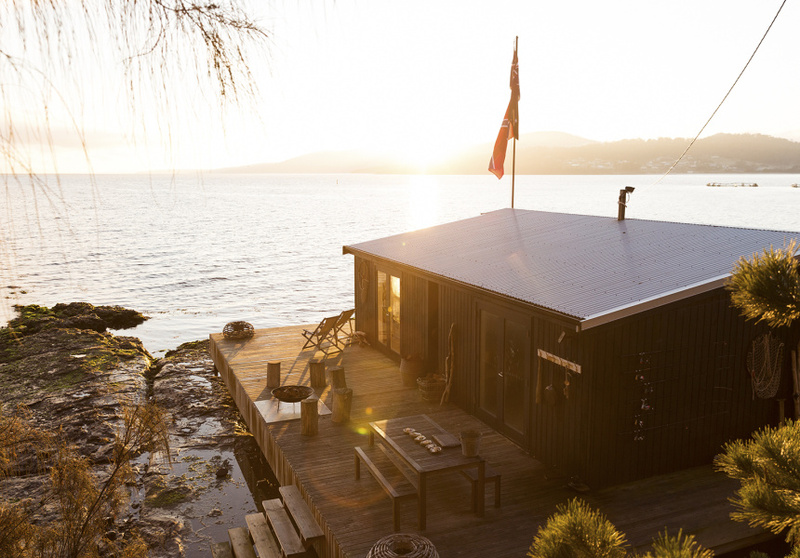 Accommodation on the island is the three-bedroom Summer House, which is set up on the highest point of the island, and the smaller two-bedroom Boathouse, which sits on a small jetty over the water. There’s also a queen-sized bell tent for clifftop glamping in the warmer months. While the Boathouse is a bit more of an “adventure” to get to (especially after dark), the reward is falling asleep to the sound of lapping waves and waking up to see the sun rise over the water. Though you’re encouraged to bring some essentials along (wine, cheese, bread, milk) absolutely everything else you could possibly think of is supplied; opening the doors of Kate’s well-stocked pantry is like entering a small outlet of The Essential Ingredient. Guests have full access to the abundant organic vegie patch and orchard, and the plentiful egg supply from the free-range chooks. 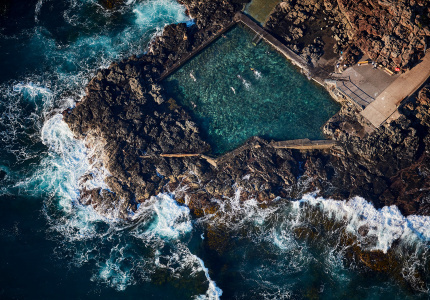 If you’re up for it, there are unlimited oysters and fresh fish from just off the jetty. We pulled out the fishing rods and caught five fish, including a couple of flathead and rock cod, for dinner in less than two hours. There’s a full spirits cabinet, too. Although you’re largely left to your own devices, affable island manager Richard Roe is around when you need him (for more firewood or bait or help fetching fresh oysters off the rocks). 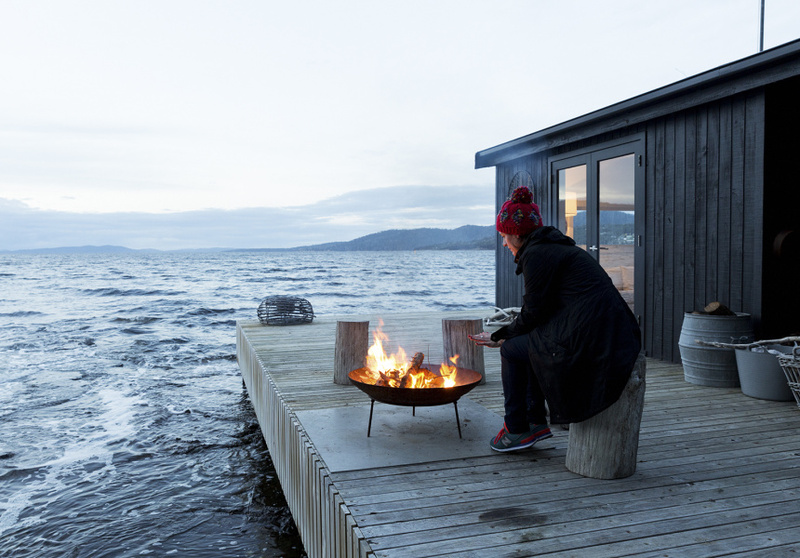 He’ll even build you a bonfire, or scoot you across to the Bruny Island pub in his boat, if the feeling takes you. Satellite Island can be reached by boat from Bruny Island. 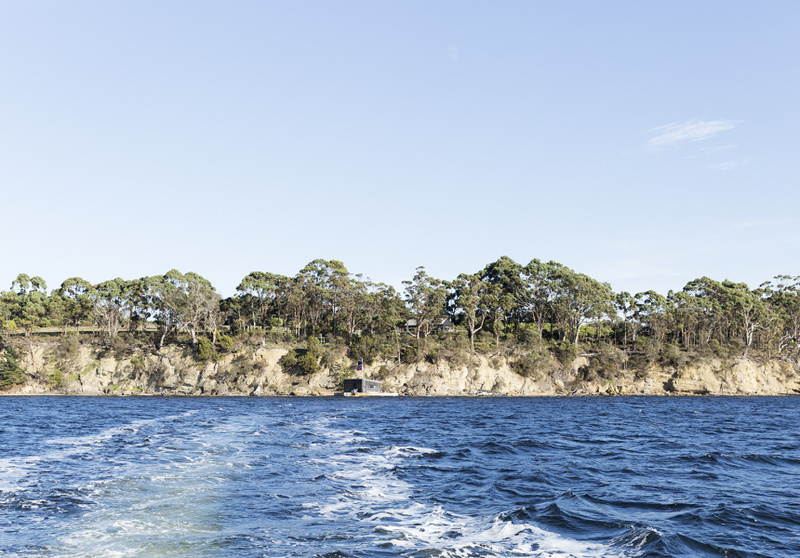 Guests will need to drive from Hobart to Kettering (30 minutes) for the Bruny Island car ferry, then drive to Alonnah Jetty where Satellite Island manager, Richard Roe will pick you up in a boat. The island sleeps up to 12 people and there is a minimum two-night stay. Broadsheet was a guest of Satellite Island and Tourism Tasmania.